GE engines powering these planes that deliver passengers to global destinations. MW. 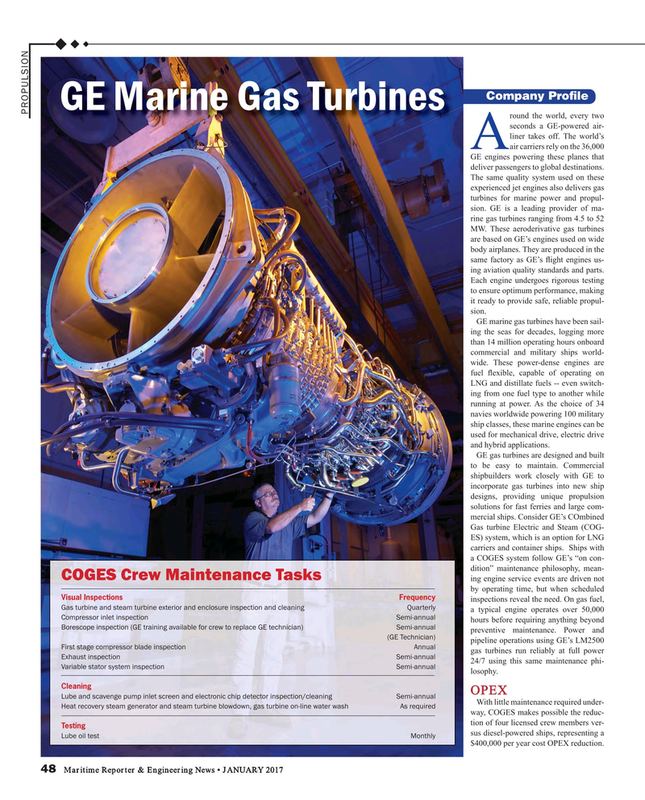 These aeroderivative gas turbines are based on GE’s engines used on wide body airplanes. They are produced in the same factory as GE’s ? ight engines us- ing aviation quality standards and parts. Each engine undergoes rigorous testing to ensure optimum performance, making it ready to provide safe, reliable propul- sion. LNG and distillate fuels -- even switch- ing from one fuel type to another while running at power. As the choice of 34 navies worldwide powering 100 military ship classes, these marine engines can be used for mechanical drive, electric drive and hybrid applications. Variable stator system inspection Semi-annual losophy.